We love hearing from customers. Let us hear your story and see your ride! Send us pics and your testimonial and we'll post with your first name, last initial and state you live in. I purchased these headlights for a car that I am fixing up for myself. The first surprise I had was how quick that they come to my residence. Next is how good they look on the vehicle. They are durable, clear and shines very bright. Will continue to shop on this site when looking for any parts. I was very, very pleased with the headlight replacement set I ordered. The set was an exact match and shipped the same day I ordered it. The parts were factory packaged with protective lens covers. This company makes quality replacement parts and I will not hesitate to order from them again. I purchased your window regulator repair kit for my 99 Jeep Cherokee. The product was of very high quality, and the instructions were very simple to follow. From tear down to reassembly, the whole process took less than an hour. Your price was the best on the internet and when I need to fix the other side, I will definitely buy from you guys again. Your part saved me over $150.00 and it was identical to the same part at a local parts store. Will highly recommend using your parts in the future, thanks again! As a North Carolinian living in the shadow of the Charlotte Motor Speedway, I have the pick of the litter in choosing auto parts dealers when I restore old Toyotas and Fords. When I find a dealer who prices their products fairly and ships exactly what they offer, I pay particular attention. AutoandArt was the second dealer I ordered a part from. They were the only dealer who shipped quickly and sent me exactly what I ordered the first time. You had better bet that I will be ordering from them again. I trust them. I respect honest businesses. And, most especially, I do not have to dig through the fine print to make sure that they are not hiding something. They have my business! I love these! Huge difference from my original 20 year old headlights. Great product - perfect fit - fast shipping - great communication. Highly recommended. After I found these lens housings, I thought they were very reasonably priced, plus free shipping. I received my new lens housings in just a few days after ordering them. They looked just like the OEM's except they were new and not holding water and they took only a few minutes to change out. Thanks AutoandArt. Was very impressed with the quality of product. We had one broken lens. We decided to replace both else one would be old and foggy. New lights made the car look great. We are looking at replacing the lights on the other cars just for the look. The shipping was very fast. The product was packed well. Ours even had the major bulbs with it (an unexpected bonus). All of this at a price that I felt guilty paying so low. I was in a real jam with my truck, wheel bearing went on my way home from work. My truck is my only means of transportation. So I needed it back up and running fast. I found the part I needed... It was a great price and got here real fast, my truck was only down for a couple of days. Couldn't be happier with the service I received from AutoandArt. Sirs, you have the fastest shipping of anyone I have ever bought from, your price for the mirror I bought was the lowest. and I am very pleased with it, it is very well made, I accidently dropped this mirror while putting it on, it didn't break the glass, or even leave a scratch on it. I will definitely buy from you again, when the need comes. thanks again. 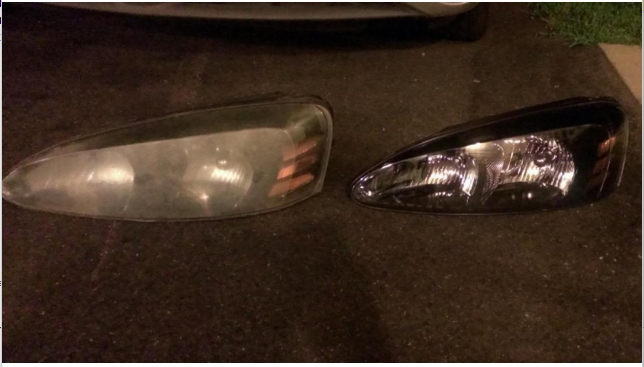 My wife was really happy that I found a set of headlights for her car at a great price. She can drive and see at night as opposed to the dingy, scaled over old ones she on her car. Thank you and I plan on coming back to shop on your site. Very good company to deal with. I had the wrong shipping address for them to send the part, and they took the time to call me for my best shipping address. Received the parts and had both of them in within 30 minutes. I work at an auto dealership and my cost for the part through them was about 4 times higher. This company is an excellent resource for quality replacement parts. 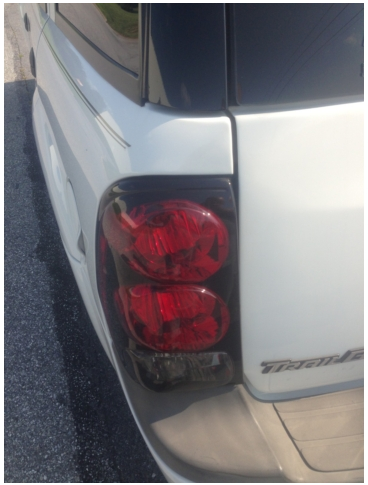 The 2012 Chevy truck replacement tail light was EXACTLY like the original one that I broke. It was a perfect fit, fairly priced, and I am totally pleased with my purchase. What can I say ...same part as offered at local supplier at half the price, with great followup when I had one small issue that actually was not the manifold but a Jeep issue which was quickly and professionally solved for me. Great product, great price and great followup from sales and support team. After my wife's 2001 Corolla driver side signal lens fell off her car I went looking for one... Autoandart had a pair for the cost some other dealers posted for the single lens, and I figured if it was low quality I would just right it off as the car isn't really worth buying original equipment for. They came fast and fit perfectly and I couldn't be happier with them, plus the wife treats me like a rock star for finding such a great deal so its a win-win right? I would highly recommend these guys based on my experience with them. The Chrome tailgate handle looks great and fit very well on my 02 Chevy Silverado. I'm amazed how fast it was shipped and how fast it arrived. Very well packaged too. I will be buying from them again. Thank you for the great price and super fast shipping. Upon receipt of product, the packaging was phenomenal. Each Mirror was wrapped in it's own sleeve to protect it from scratches/damage. If you were to purchase this product from the dealer, not only would it be well over priced, but you wouldn't receive a good quality product as such. If you can awe me with the outside of the box, then I can't wait to get inside! The installation went really well. I would have done a write-up with this and posted it, but i was limited to sunlight and time. Both mirrors (Left and Right) were installed in less than 40 Minutes. I had to buy the Rear view mirror switch as that was all corroded but as soon as it was replaced, these mirrors worked like a charm. I am very pleased with this product. Overall, this product exceeds OEM specifications all around. I would DEFIANTLY consider purchasing from AutoandArt.com for future auto needs. Thanks AutoandArt! you saved me time and frustration with ease! You can't beat AutoandArt for price, quality and service. Their prices are the best I have found and their service far exceeds any other online automotive parts dealer that I have dealt with. In this day and age of tough economic times, you have to stretch your dollar for the best price without sacrificing quality. 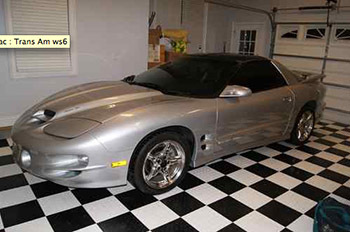 Autoandart has far exceeded my expectations for value and quality along with outstanding service. Hey Guys, just wanted to let you know how happy I was with your product. The window regulator was about $120.00. your part was $25 and with your detailed instructions, was easy to install. It's nice to see a company making small obscure pats around to keep our old vehicles running. Thanks guys. By default I always research pricing and quality before I buy. 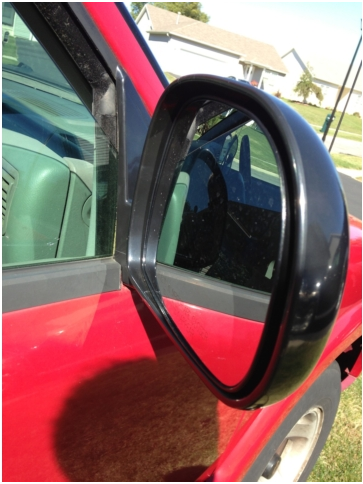 I have recently purchased a Dodge Ram Tow Mirror from AutoandArt. The price was extremely fair. I received the mirror very quickly and the quality is excellent. I have referred my friends and will definitely buy from AutoandArt again. Easy to install looks better and more sturdy than the original. The original Cowl Panel wear and tear faster. This absolutely works for my car. I receive nothing but compliments now that the old Cowl panel has been replaced. I want to thank you for your fast service of sending me the headlamp housing for my 2008 Hyundai Elantra, The assembly was just like the original and shipping was super fast. My daughter's lights were dull and yellowed barely passing inspection. But I am a Police Officer and they did NOT pass MY inspection! Her safety is most important to me so I shopped and found these replacements for a good price. I got them within a couple of days and had them on my vehicle within an hour of receipt! EXCELLENT stuff, looks like brand new OEM equipment and daughter noticed the brighter lights immediately the first night! Just wanted to say that both the headlights and parking lights fitted perfectly and that I am very pleased with my purchase. The price and quality of the items were excellent. 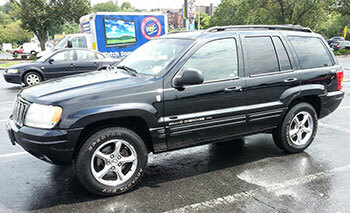 I would like to recommend AutoandArt as the place to do your vehicle purchases. You will not be disappointed. I was pleasantly surprised with the packaging of my passengers mirror. The mirror and housing were expertly packed so that it would have been incredibly difficult for any damage to have happened during shipping. Thank you for having the right product at the right price in the right condition sent the right way! AutoandArt provided me with a perfect replacement for my 04 Durango Power Heated mirror. Communication was timely, shipping was fast, great price and the product looks and works great after two months. The parts purchased were of exact fit as specified. Functioning of new vehicle equipment, and arrived very fast from seller. Overall, found price and deal to be of a high quality level. Would do business with this seller again anytime! Thank you. Impressive! One word to describe my purchase from AutoandArt. The headlight assemblies came perfectly packed and was an easy install. What a great deal! 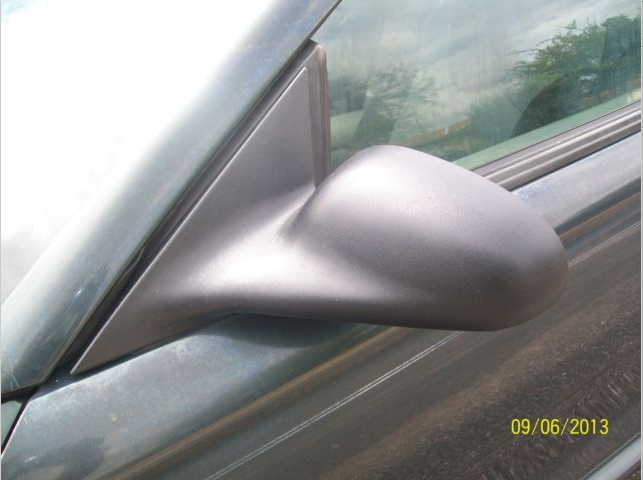 I was very pleased with the product (Power side view mirror) that I received from you. It was as displayed on your store site, I was extra pleased with the short time it took you to have it in my hands. I highly recommend and will continue to use this seller for all my future auto parts needs. I will definitely do business with this company in the future. 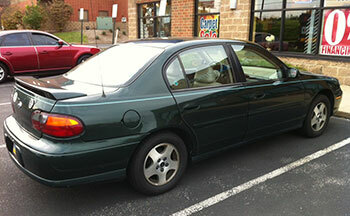 The part that I received was as described and went on the car without a problem. The shipping was fast and the price was excellence compared to the Ford Parts garage price. I purchased this mirror and had the best service and fast shipping. Great people to buy from and will buy again when I need other parts again... Hope they're around a long time!!!!! I was very happy with the business transaction. The part was of excellent quality, packaging good and pricing was appropriate with quality. Would definitely look forward to repeat transactions with your company. Thanks for the prompt service. The mirror was exactly as described and fit perfectly! I am very satisfied with all aspects of this transaction and the product. Recieved shift collar and pin and was very satisfied with it, painted it and looks great and fit perfectly.I was also very satisfied with price,will highly reccomend their products, I put collar on 1965 ford short bed custom truck. Thanks again. I bought the New Pair Set Power Side View Tow Mirror Heat Heated for 03-07 Chevy GMC Pickup Truck for looks. But I was more than happy with the actual performance of these towing mirrors. I could see the whole road behind me when looking through these. I am very pleased when I am towing my tractor on my 18 foot trailer. 10 out 10 with looks and performance. 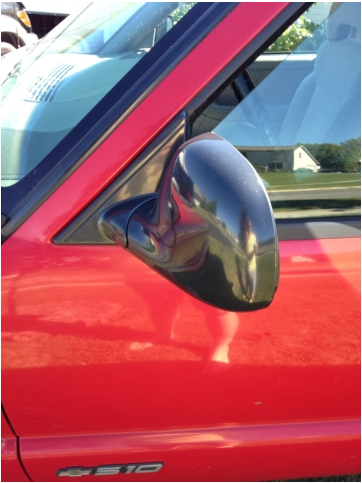 I purchased a New Drivers Power Side Mirror Glass Housing Assembly Textured 96-98 Ford Mustang for a 1998 Mustang and AutoandArt provided me with excellent service. Fast shipping right to my door. OEM quality part that worked and fit perfectly to my car. Best price out there too. I would highly recommend and use this company again! My jaw dropped when the Dodge Dealer told me $619 for the pair. When I received these headlamp assemblies from AutoandArt, I was amazed that they were identical in quality to the OEM parts, for a fraction of the cost. They have improved my night vision on the road drastically. Work perfectly! Outstanding Value! Best deal of the year. I'm very satisfied with the upper control arms I bought, they fixed perfectly and of course I save some money. I'm thank AutoandArt for giving us quality parts with better prices. The front sway bar on my Buick Century was split so i order one from AutoandArt and it came within a week and it only to a couple of hours to put in, the time frame of the instillation was a little longer with hand wrenches but if you had air tools it would probably be a little faster. The headlight housings were as described, fit perfectly and delivery was fast. The price was good also! Pleasure doing business with AutoandArt. I have been trying to find new headlights for my car for 3+ years. Everywhere I priced them they were $150 (per headlight). 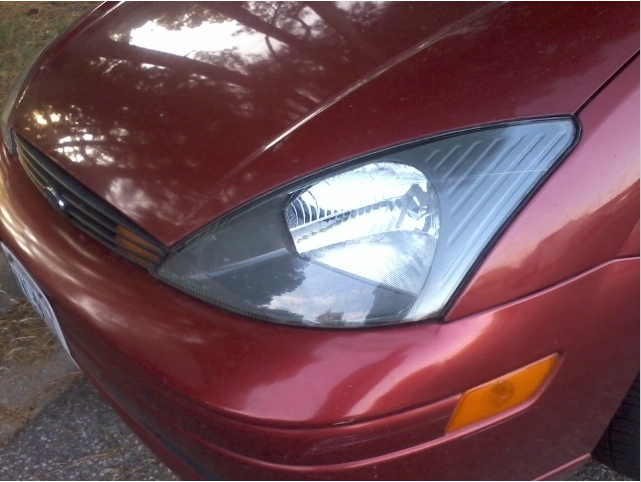 I was so thankful to find a SET at AutoandArt for way cheaper than just one headlight from anywhere else. The headlights came super fast and in mint condition. I was able to install them the day they were delivered and they instantly made my car look 5 years newer! Thanks AutoandArt! The mirror arrived in a very short time and was flawless. It was so simple to install that my daughter did it herself. Thank you for your service. Was as described and looked great, fit perfect. Arrived in reasonable time. Will do bis again. It looks good compared to stock. And it really matches the stealthy look he was looking for. It was a straightforward install and really changes the outlook of the whole car. I just wanted to tell you how pleased I was with the tail light I purchased. It was very reasonably priced, shipped very quickly and best of all it fit like a glove. I will definitely return the next time I need parts. I bought those headlight set for my sister's van who lives in PA. I just wanted to say that they look great on the van when I put them on for her. Thank for selling a great product. New headlights make the car look SO much better. I don't know how these guys can sell so cheap but I won't complain! I received the set of mirrors in 3 days. They were an exact match and I had them on in 30 minutes. I had never replaced the electric mirrors and it was for my Grandson. I understand they are meant to breakaway and they did their job. It is a great product and a perfect match. 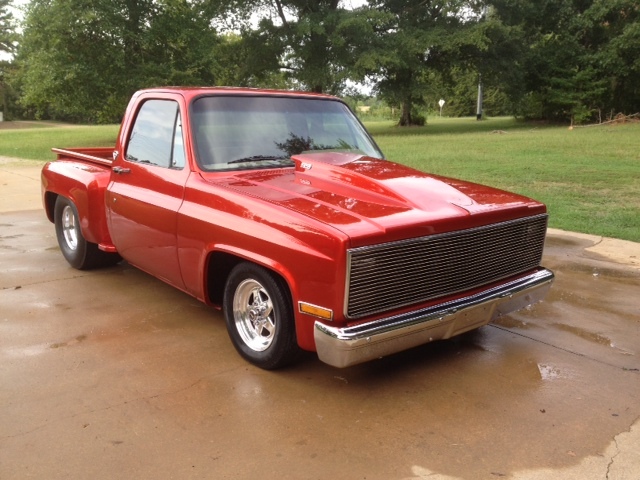 Thanks to AutoandArt for the door handles I ordered for my 85 custom Chevy truck! They were a great touch to the finish of my truck. I highly recommend this company for all your parts needs! They ship promptly and have great quality of products! Thanks again Auto and Art! A+ seller! I purchased a new set of taillights for my 04 yukon. Great item! They fit perfect and made my vehicle look years newer! The package parts very nice, just pull them out of the box and install! I will buy from again. I purchased a set of headlights for a customer's car on a Tuesday and received them the next day with standard shipping. I am near one of their hubs, but even still that is the fastest I have ever received an order with out paying overnight shipping. The lights arrived in an average size box for headlights, but they were packed VERY well. The fit and finish of the item was amazing, and the customer couldn't even tell the difference from new OEM lights other than the drastic price difference. Below is a pic of the 9 year old worn out lights on the left and the new ones on the right. I will be using AutoandArt for all my future headlight needs. I am a older and believe in showing appreciation when it is due. Your price was right and I will be buying from you again. Very impressed! Part was 20% of auto parts store cost, and was the same make and model. Shipped immediately and arrived 3 days sooner than estimated. When I thought part was bad (turned out to be my side of the connector), AutoandArt responded immediately and professionally. Will buy from them again! I purchased a window regulator from you. It was delivered promptly and did fit my vehicle, was new, and easily installed. It works perfectly. I am a very satisfied customer. I wanted to thank you for the flawless transaction! I received my new lights today, 7/26/13, only 1 1/2 days after purchasing! And to top it all off, the shipping was free!!!!!!!!!! They work wonderfully! I did not have enough room on the feedback to say all the great things I wanted to, but I left what I could. Thank you again, and I will certainly be looking your items up again! The mirrors were exactly the same as Mopar at more than half the price very great quality and make my truck look amazing. I would definitely do business with you company again great shipping speed and exact product description. Thanks again couldn't have been any easier. I really appreciate your business. Your customer service is top notch. I can't say enough about your prompt delivery and the quality of the part I received. You definitely exceeded my expectations. I have had a bad experience before with other product suppliers. So this has boosted my confidence in ebay sellers. Thank you so much. 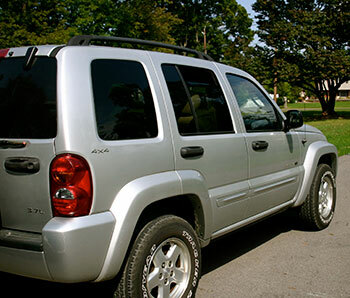 Autoandart provides a quality product and delivers quickly at competitive prices. They definitely compete with other online retailers and brick and mortar stores. the motors fit great, work great too. I should have done this a long time ago. thanks for putting them on ebay I never would have found them anywhere else. great job guys keep up the good work. it gets hot and muggy here in Virginia. got to get them windows down! I began restoring my 2000 GT Convertible once I purchased it in May 2013. Piece by piece I took it from a disaster to practically showroom new. One of the key items was the cowl cover, after searching high and low I opted for this design which make it easier to access wiper mechanisms within the cover for easy repair. This piece fit great, looked excellent and I couldn't recommend a better after market replacement piece of your SN95 New Edge 99-04 Mustang. 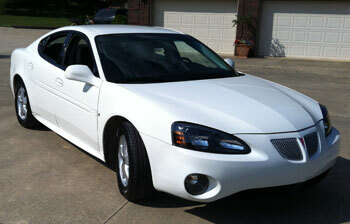 I was extremely satisfied with the product and service from autoandart. The shipping was fast and free. The part fit perfectly and looked showroom new. I look forward to doing business with autoandart in the future for my parts needs. I recently purchased two window regulator assemblies from your business and could not be more pleased with your service. The assemblies, ordered separately, due to not knowing if I wanted both or not, arrived in a very short time and were exactly as described. 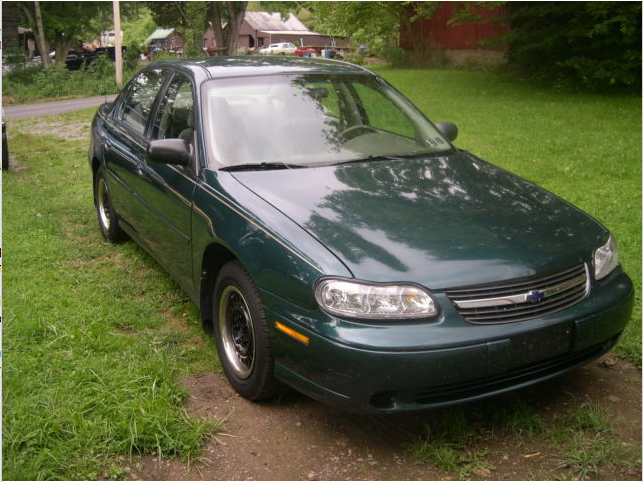 My "Black Beauty", a 1995 Chevrolet Cavalier, was recently purchased because of not necessarily how it looked but how it performed. My wife would not ride in it until she was able to roll the window down, reason for second assembly(lol). Since it may need some necessary parts in the future, I will certainly give your business first consideration when ordering them; it was a pleasure doing business with you!!! Thanks to autoandart! I recieved my new headlamps very quickly and well packed. It even came with lamps, which was a nice surprise! It was a great deal!! I couldn't be more pleased with the product I purchased. It was above what I expected. I would more than be happy to recommend other customers ro this site. I am very pleased with products at Autoandart, The prices are the one of very best, shipping was lightning fast, I am very happy I do business with such a caring, trustworthy company. Thank you again for putting your customers first. I was worried about buying aftermarket parts, especially for a Lexus. I took a risk and ordered anyway. I couldn't be happier. Perfect fit and they look great!! The shipping and packaging was also exceptional. They have my business! I'm from California and the sun is tough on plastic so I ordered the tail lights they were very reasonable was very happy with the product simple installation and shipped on time. As a small automotive dealership in Texas, I'm constantly in need of quality replacement parts at a reasonable cost. I've purchased my window regulators from AutoandArt for years and have never been disappointed. I've always received the correct part quickly and have seldom if ever had a reoccurring outage. Customer support is outstanding. Great price for a quality set of headlights. Even came with new bulbs also. The shipping was fast, I would highly recommend doing business with AutoandArt. My headlights were shipped fast and easy to install. They even included headlight bulbs, that I found when I installed them. Here is a picture of them. I was very impressed with the way A&A conducted their business. They were kind and courteous. The item I received was a mirror to a ford explorer and it fit perfectly. And also the shipping was much faster than determined. Very pleased. Can't wait to use them again. I'm ever so pleased with the purchase. Quick delivery and the part was just what I needed at the most favorable price. I'm impressed, to say the least! Thank you ever so much. What a fabulous company! Told by my mechanic that I needed to have my Honda Accord headlight lenses resurfaced, for the same price I replaced them with brilliant headlight lenses from Auto and Art and had fun doing it after watching a 4 minute video on YouTube. What's more, the new lenses came with spare high and low beam bulbs, so I came out way ahead. Shipping was super fast, and the fit is perfect. The products are highest quality and the speedy service and expert packing were amazing. Headlights were in perfect condition. Quick delivery. Would recommend for great prices on parts. Will use autoandart again. The driver's side view mirror that I purchased was the first search item that showed up and ended up being the product I picked. The price was extremely fair for the brand new replacement. It also shipped very promptly. I had other things on their way from a couple days earlier, and this package beat it by a day or two. I'm very satisfied with the results. I recently purchased a sway bar for my wife's Grand Prix from Auto and Art and received a great price, fantastic service, and quick shipping. I used to be a buyer for General Motors and I know the auto parts aftermarket well. Auto and Art sent the right part at a reasonable price and the part arrived quicker than I expected. I intentionally saved their contact information and website so that I can go right to it when I need additional parts. Thanks for the new window motor and regulator for my 1999 Jeep Grand Cherokee. It fit and worked worked good, your fast shipping got it here quick so I could get the job done. The folks at AutoandArt are terrific. The item I ordered was exactly as advertised and arrived promptly - exactly what you want from an eBay seller. 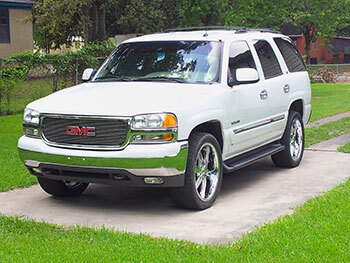 We are very happy with our purchase and would definitely deal with AutoandArt again. I have been in the auto repair business for 26 years. I have purchased parts from every auto part store in Kansas City. I have bought hundreds of window motors over the years for my self and customers. When my son's window motors went out on his Camaro I turned to AutoandArt. By far the best price but that is not why I bought them. The warranty is the reason. If you can guarantee your product like that then I can guarantee my work without a second thought. Window motors work great. Thanks AutoandArt. I would like to thank AutoandArt for my quality replacement parts. They fit exactly as my OEM parts and cost a fraction of the price. Delivery was quick and packaging was superb. Will definitely do business again in the future. Great customer service, with even more exceptional delivery service. could not ask more from a company. The item purchased was of the best quality to say the least. Thank you. I've just found autoandart recently and have purchased two items so far. 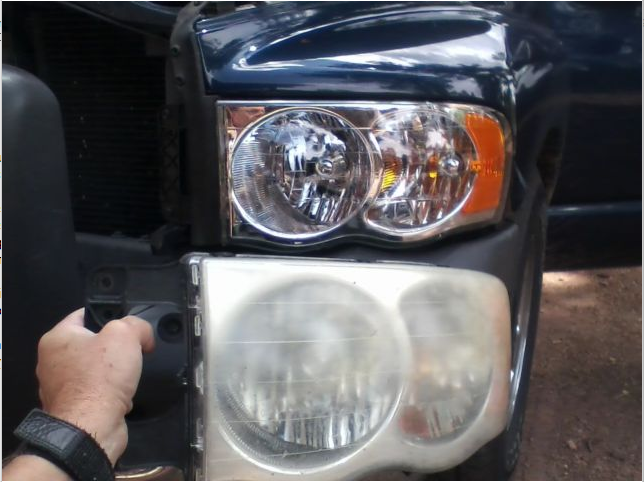 A headlight assembly for a cobalt & a taillight assembly for an F-150 PU. Both items arrived in 2 days from placing the order with great communication and products. 5 stars for this company. I am truly pleased to have done business with "AutoandArt". My taillight is as good as new and was replaced at 80% off dealership asking price. It was the entire assembly. A true "plug and play" replacement part. Thanks for your help and you all will be my first choice in replacement parts. Would not hesitate for a second to buy again from AutoandArt. I am a happy camper with the passenger's side view mirror that I purchased from them. A quality piece that is a bargain in anyone's pocket...especially at today's prices. Recently I had my 2003 Chevy Malibu in the shop for state inspection and was told I needed a new passenger side rear brake light assembly. My mechanic told me to call a junk yard to get the part. I found AutoAndArt online and also a great price for the part I needed. I had my part within a week and my car is good to go! Good Saturday Evening, Saturday, 9/15/2012 - The Package containing the New Pair of Taillight housing assemblies arrived today. I cannot thank you folks enough for supplying these parts. Your company's name is going into the favorites file, so we will do business again. Thank You. Hey, great transaction! Thanks! Can't believe you have gotten negatives. I take that back, yes I can, there are idiots in this world! You have helped me take a negative event that happened to me and brightened my day! I strongly recommend you mention in your listing that the front panel of mirror assembly is interchangeable to insert the existing one or you can paint the panel that came with to match the color of the car like my design is. Thanks again! You will get my referrals! Your service was absolutely the best value for my money. I was hesitant to use something new, but I took the chance and it was well worth it. I am so thankful for my new parts. They were exactly what I wanted and needed for my vehicle. Thank you again. 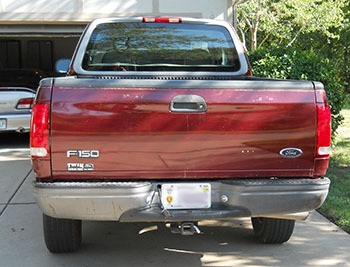 I received my tail lights today and installed them on my 1998 F150. 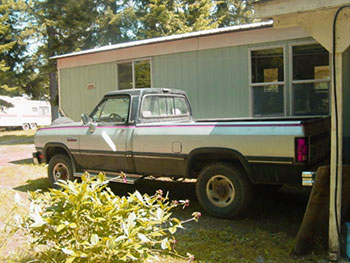 I bought this truck used 5 years ago with a salvage title and have used it a lot in my construction business where it was subjected to harsh duty. Have also fixed it up a lot where it runs and drives nice. I still enjoy driving the truck a lot and like to fix it up so it looks better. 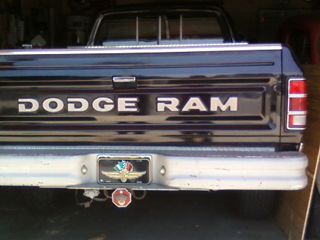 These tail lights are a nice fix as they look great and now I am thinking I might want to get the truck painted. Thanks for the great lights, great value, and a great transaction. After searching for a replacement mirror for my Jeep, I had come across AUTOANDART on eBay who offered an exact fit replacement mirror for 75% off the dealership parts department price! I am so thankful and the quick response and shipping time round out the great transaction!! The replacement Headlight lenses we purchased from AutoandArt for our PT Cruiser are EXCELLENT! They are of high Quality and look great! Installation was fast and easy if you have a little knowledge of body panel removal. Great Product and we can see again at night! Availability, tracking, communication, and price weren't all that contributed to my overall satisfaction. Upon speedy delivery, I noticed professional high quality packing and a high quality product. I ordered a complete power window regulator / window track & motor for our 2005 Ford F-150. In my experience and opinion, this is the best quality on the market. My family is absolutely 110% satisfied and look forward to future orders. I placed an order with your company in the hopes that I would be less than displeased due to the price of the item, but was amazed at the speed of the shipping, and shocked at the quality of the parts ordered. Words can not express how happy I am, and I am telling everyone about the level of service I received. Thank you! I bought a power side mirror for a 02 Grand Prix. AutoandArt had the best price. 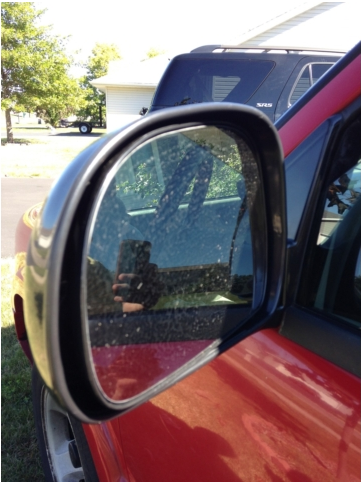 The mirror was the same quality as a mirror I paid twice the price for from another parts store. Fast shipping. I would buy from them again. I am very happy with my purchase for my truck and always check your store first when I need other auto parts. Thank you for being a reputable store! I bought a passenger door handle from this company and it was the first time ever using them and I'll tell you what, I will be using them more often for my auto parts. I run a company here in fort myers fl and they were fast at getting me my part and great customer service. It was for 1999 Chevy astro van. Part works great and fast shipping. Will definitely use this company more often. Thanks Again AutoandArt. If you are tired of not being able to see through yellow Headlight Lenses and have tried the cleaners that don't work, then help is here. I purchased a pair of replacement headlight lens and housings from Autoandart and man can I see now. They were a perfect fit and look wonderful. The price was fantastic, and the shipping super fast. These mirrors are AWESOME!! They work fantastic and fit just like HD factory mirrors; I was very impressed and get a lot of comments being on a lowered 2wd sierra. Motors and heaters work as designed. Excellent company to order from and provided all the services needed. Thanks again for your help. When you have messed with the rest, buy from the best. AutoandArt is a industry leader in product selection, availability and price point only to be complemented by best in class customer service. WOW! You guys are professionals and truly a breath of fresh air to do business with. Thanks for your help! I know what you're thinking, cheap price cheap part, well you're wrong!!! What you get is a quality part at a discount price. What I received was a part exactly like one I purchased from a discount chain autoparts store for 3 times the price. The part and price were so good days later I bought another one. You can't go wrong!!! Thanks again. The sway bar I ordered from Autoandart was by FAR superior to the junky part that GM sold the car with. The GM factory installed sway bar, was made of TUBING and the replacement part I bought from Autoandart, was solid steel, a much better quality part. If you want better quality parts than factory parts, IMHO, buy them here from Autoandart. 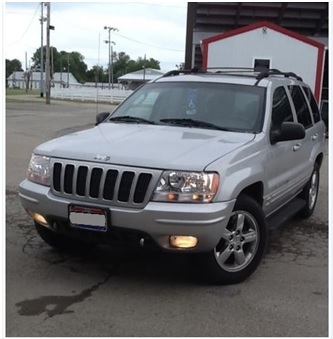 I have bought from Auto and Art many times, and now seek them out first to see if they have what I need. They are incredibly fast, super reasonable on pricing, and the quality has always been great. 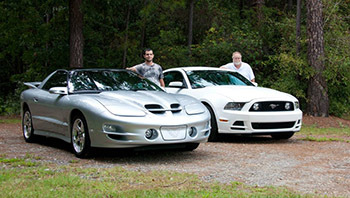 I am a car addict, and they help me better afford my addiction! I look forward to buying from them again. I was most delighted about the deal I got for the 6 piece headlight set. 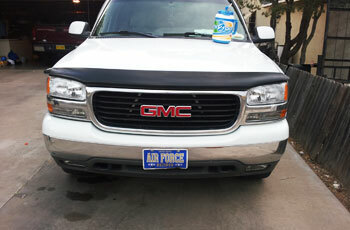 Thanks very much made my truck look brand new. Would recommend your website to family and friend. Once again thanks. 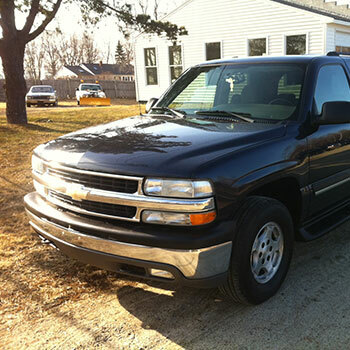 As most owners of Chevy Avalanches eventually find out, the window regulators tend to fail on a fairly regular basis. After recovering from the shock of being told by the dealer's repair shop manager that the replacement would cost $400.00 I quickly decided that a better option was needed. Finding an after market replacement from Autoandart for $40.00 I figured that a couple hours of wrench time would be worth the effort. I was very pleased to find that the replacement regulator fit perfect and that the complete "operation" took me less than an hour. I took the $360.00 savings and mounted a few more toys to my truck. Autoandart will be by first stop next time I need a replacement part. Super fast shipping and high quality oem quality products! An easy plug n play set up. I was very impressed with the product and how fast I received it. I will continue to do business with auto + art. This pair of replacement tail light lamps purchased from Auto and Art through E-bay were a perfect fit on my Dodge pickup truck. The pair cost me less than 1/2 of what one OEM taillights would have cost. The new headlights are great. They took 5 years off my 97 Ford Expedition. My old lights were fogged over and buffing them out only lasted a couple of months at best. These lights saved me approx. 75% over factory replacements. Thank you for a great product. My name is Mike M and I am from North Carolina. The quality and fit of the headlamp assemblies I received were excellent. I installed them in minutes with no hassle, my original clips fit perfectly, quality was so good that the alignment of the bulbs were right on. For any future lighting needs I will be using Autoandart. I am totally pleased with the headlight assembly for my '93 Caravan. It looks and functions as the OEM part and cost only as much as the charge to buff out the old one, which I had done previously and it dulled after 18 months. Great company to deal with! This purchase could not have gone any better, communication was excellent, shipping was extremely fast, and product fit perfectly! They were very friendly and answered questions fast and accurately. I had the lights actually earlier than they had said I would! Thank you very much, I will definitely be buying from them again! Autoandart is one of those rare merchants that actually cares for their customers. I placed an order in the morning, got tracking in the afternoon and received the next day! Simply amazing! They are prompt and courteous in replying to any questions you may have for them. It's refreshing to find a seller who values their relationship with the customer like Autoandart does. I can't stress enough how great they are! A++++++! Hope to do future business! My customer was extremely happy with the service the team of your company and I were able to provide and has told me that she has a friend that could use the same type of treatment, so I am hoping to have more business for us. I first want to start by saying it's been a long time since I was so impressed with anyone let alone a company.I emailed you and the next day I received an email from you guys that a new part was already on its way. That was amazing how quick you guys replied. I will refer everyone to you I know. As for the blown air bag, I received it Thursday and replaced it Friday but I work 5 12 hour shifts a week and haven't been able to send off the defective one. It'll be sent back this week. Thank you guys for your quick and stone satisfactory service. I ordered the dual set headlight assembly for my wife's car. Autoandart offered the best price I could find, shipped super quick and arrived in perfect shape. They were exactly as described and fit her car perfectly. I would have no reservations about dealing with autoandart again. My Car looks like when I purchased it in 2005. 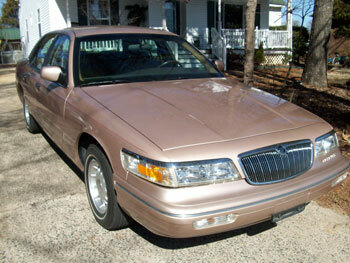 By replacing the headlights from Autoandart, I know that my car will be an easy sale if I decide to sell it. IT LOOKS LIKE IT WAS NEW!! 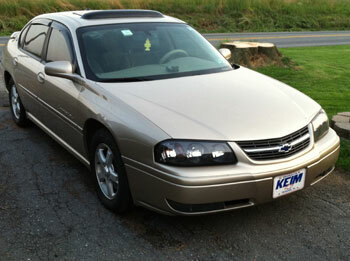 Autoandart delivered exactly what they sold me, a brand new pair of headlamps for my Chevy Cobalt. The delivery was faster than anticipated, the product was well packaged and without any defects or broken parts. I will not hesitate to purchase any car parts from Autoandart, as I believe the seriousness and professionalism that they presented, was second to none. Keep doing a good Job! I was more than pleased with my purchase. 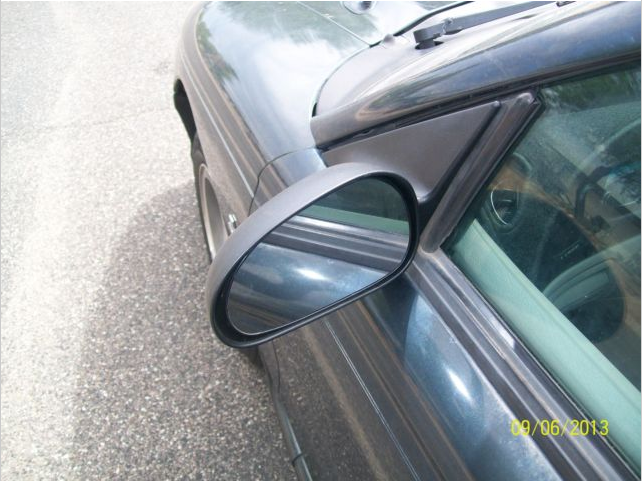 The mirror was the exact match to replace the OEM part that had worn out and couldn't be found by the toyota dealer. And free shipping made the experience even better. I'll be back again. Thanks! When ordering a part or other item on the internet we take a chance and expect reasonable service and quality. We have a right to expect honest service for an honest price. When our expectations are exceeded we owe a thank you and, better yet, an endorsement of the provider.It is a pleasure to help spread the word about AutoandArt.com. You folks did better than I had a right to expect. Thank you, your work saved my week. Extremely pleased! Best fitting aftermarket part I have ever installed. Customer service was perfect, shipping was extremely fast and the product is top notch. Glad to see good service is still out there. I live in California and this headlamp assembly costs $200 more here than I paid to Autoandart on Ebay! The part looks identical to the factory headlight that went bad due to a crash, and I'm extremely satisfied with the product, price, and delivery! Autoandart was a pleasure to deal with. In addition to a quality product delivered as advertised, the shipping was expedient. I am very satisfied and recommend them highly. Savings are substantial. Headlights look, work, and fit great. Junk yards want $70.00 for one ugly used headlight with an unclear lens. Now the front of my car looks like new. Autoandart really took care of my truck parts needs. The mirrors I purchased fit flawlessly, and went on with ease. I would highly recommend them to anyone looking for aftermarket auto parts. I know I will be using them again! Mid May I hit a mule dear in my 2003 Yukon near the pecan orchards doing 55 and it took out the left side head, turn and driving light. I was in shock to find out what the dealership wanted for the headlight alone. I ran across this add online and decided that it was best for me. New 6-piece Set Headlight Headlamp Signal Marker Light Fog Lamp SAE DOT GMC from AutoandArt. I figured what could it hurt the right side was getting dull and for the price I could replace them all. These are perfect! The price, the fit and the quality you can not go wrong. I know where to go the next time I hit a deer or my boys take out another head light with the basket ball. Thanks AutoandArt for saving my wallet from shock. One satisfied customer. I work at a dealership and consistently see people pay over two hundred dollars for a standard power side view mirror. That's just for the part. I live with an elderly man who has a habit of knocking his off. Finding a mirror for $37.00 dollars was a blessing. The part arrived quickly, was a perfect match, and works as designed.Thank you Autoandart for providing a quality replacement for such a reasonable price. Your on my favorite seller list. I was helping out a friend by fixing her broken mirror on a Chevy Aveo. I called around to local salvage yards, but found the prices to be twice as much or more than AutoandArt. I chose to order the mirror and was pleased with the entire transaction. Once I paid for it, AutoandArt shipped it quickly and it arrived in just a few days. It was new in the box and, although an aftermarket part, it fit perfectly. I was satisfied and my friend was elated to have her mirror fixed. This seller is very good with their product. I receive my orders and they shipped the exact part and with warranty. My car appearance has changed to a positive note. I just purchased my wife's car the same part and are waiting for it to arrive. Keep up the good work and never change your products and services. Exterior parts I ordered are good quality, works and looks just the same as high dollar parts from dealership. Quick delivery to my door, the only difference the outrageous cost! 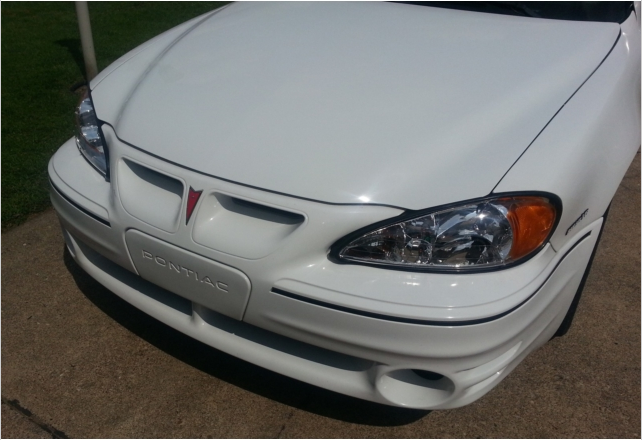 I have purchased several headlight kits from AutoandArt. I've been very happy with the price on all of them. Good quality pieces, Ive not had one single problem with fitment or function. VERY quick shipping every time. Best of all, my vehicles look so much better. New shiny clear headlights and marker lights really sets a car off. Thanks Again(and I will be back). I bought these headlamps for my daughter's car. They were an exact fit and so much better than the headlamps that were in the car when we bought it. Very fast shipping and so much more affordable than buying at a parts store. I will be doing a lot of business with this company in the future. This is awesome quality. Couldn't have asked for better. Took years off my car. Fast shipping too. Will buy again!!!! Received the two taillight lenses. Fast shipping. Lenses fit great. Look great. Great Quality. Definitely will do business with this company again. Thanks for your great service and great price!!!! Talk about a Quality Product. I must say these Headlight fit the bill. Exact dimensions makes the install a matter of ease! I can see again at night with these Crystal Clear Lenses so why buy elsewhere and waste your money? Seriously they may be better than factory originals!!! My 8 year old car was showing severe wear and tear to the lights even with its mere 42,000 miles. Junkyards proved to be much more costly than the brand new ones autoandart offers, and the used lights were even worse than what I had. It was a pleasure to do business with autoandart. They are friendly and courteous, and made my car new again. As the owner of a limousine service, I am thrilled to have found this company. We will do business for years to come. Purchased a replacement headlamp assembly for our Pontiac G6 and even though it was smothered in bubble wrap, UPS still managed to damage it in transit. Contacted customer service and got an almost immediate response and had a replacement sent the very next day! Oh and it fit exactly the same as the original only at a substantially lower cost over dealer prices. Perfect Condition...fast delivery. Like having my own parts store. to auto and art: wanted to drop you an email to say thank you for the wheel bearing I needed for my friend's 2002 Blazer. Saved him a lot of money. You shipped it to my front door. Comes with a 1 year warranty. The OEM bearing is perfect. Made my job easy for me. Thanks again. Looking forward to ordering more parts from you. I have a 1996 Tahoe with 146,000 miles on it. Everything looked great except the headlights/ parking lights. The kit that I received from Autoandart was great. Each light fit perfect and I was really surprised with the inclusion of the high and low beam bulbs with the lenses. Now with the new lights I can see better at night and my Tahoe looks great. Thanks. I received the product very quickly and it was exactly as advertised. The fuel filler neck fit the exact same as the OEM part without any modification. It cost 20% of what the local auto parts store charged for the same part. I would definitely order from them again. I was extremely satisfied with the product purchased, a rear hub bearing, very very fast shipment, excellent communication by customer service, and great product; but most importantly best price flat out!! Thank You!! Will recommend and definitely bookmark site for future purchases! 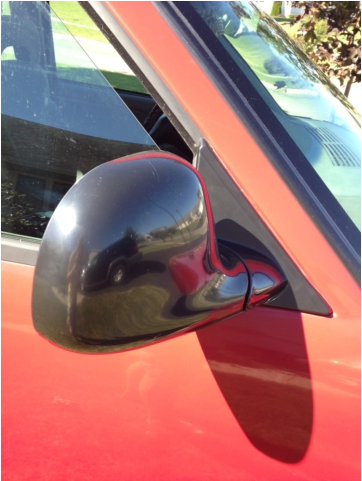 I recently purchased a passenger side mirror for my 1991 Honda Civic . First off, the customer service I received during this transaction was top notch. Secondly, the price for the product I received was amazing and the mirror itself was perfect! Finally, the shipping was very quick and painless. Thank you AutoandArt and I look forward to continuing to do business with you in the near future! Great online buying experience. Great price, fast delivery. perfect replacements. Thanks.